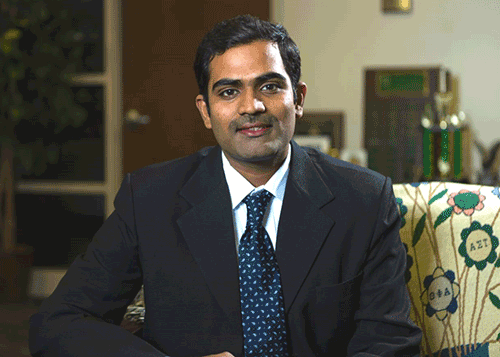 Aditya Ayyagari, a doctoral graduate from the College of Engineering and UNT Golden Eagle, recently made the decision to give back to the college as a way of not only showing appreciation for the Maswood Memorial Scholarship of Engineering he received, but also to help motivate and encourage other eagles to do so, as well. Ayyagari says that in his final year of his doctoral studies, the funding he was receiving for his research fell through. Ayyagari applied and received the scholarship at beginning of the academic year, ensuring he could continue his enrollment and finish his degree on time. “Receiving this scholarship was humbling, and at the same time, served as an additional motivation to perform better and stand up to the repute of this scholarship,” he said. It’s because of this scholarship that Ayyagari has decided to start a new one at the College of Engineering. Learn more about scholarships at the College of Engineering.